The newspaper commissioned a series of articles on the worst excesses of the fashion industry. She‘s commissioned an artist to paint her portrait. A set of stamps has been commissioned in commemoration of Independence Day. 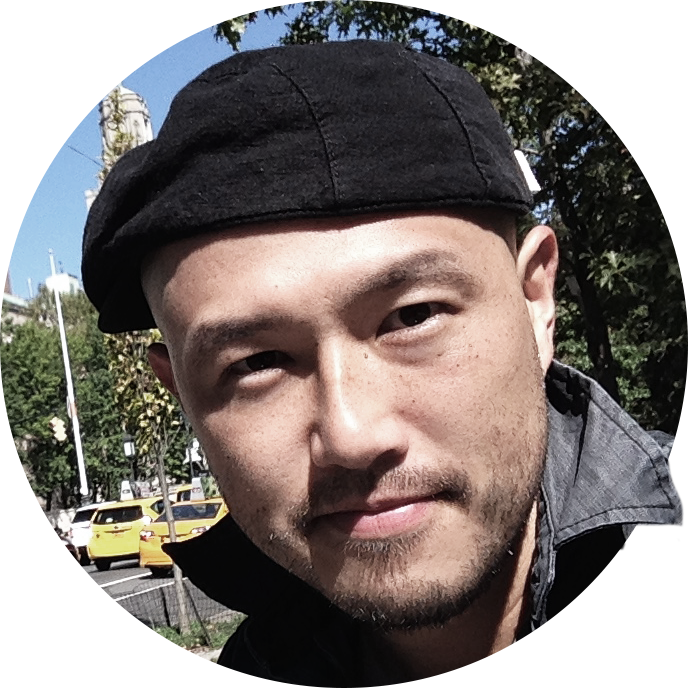 They commissioned me to write a series of articles on language. He commissioned a series of portraits of his family. She hired a lawyer who specializes in divorce cases. These nurses specialize in the care of the dying. The company specializes in customized computer systems. He specializes in breeding large dogs such as Irish wolfhounds. The store specializes in Asian antiques. 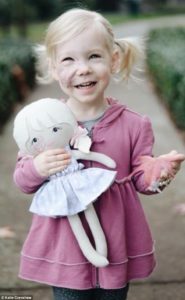 A little girl from California who was born with a rare birthmark covering half her face was thrilled to receive a lookalike doll for Christmas. Two-year-old Charlie Crenshaw has capillary hemangioma, which manifests in part as a large red ‘strawberry birthmark’ on her face. For the holidays this year, mother Katie Crenshaw commissioned a doll to match her daughter — and the smiley blonde toddler looks ecstatic to have received the gift. Katie, a blogger and mom-of-three, took to her Instagram and Facebook pages to show off pictures of Charlie on the occasion, writing: ‘You guys. Charlie has a baby doll that looks JUST like her thanks to Little Plain Jane!!! She’s a Marilyn Monroe look-alike. Jane manifested an unwillingness to sit and talk to Lydia. The workers chose to manifest their dissatisfaction in a series of strikes. The illness first manifested itself in/as severe stomach pains. Lack of confidence in the company manifested itself in a fall in the share price. Musical talent usually manifests itself in childhood. I seem to remember that on that occasion he was with his wife. She has lied on several occasions. This meeting provides an occasion (= a suitable time) to discuss the issues facing our school. There was a celebration on the occasion of the school’s anniversary. I have a suit but I only wear it on special occasions. ‘This is the most wonderful gift we could have received this Christmas. This little girl has never been happier,’ she added. Charlie was born with a rare condition called capillary hemangioma, a vascular tumor that develops early in pregnancy. While not life-threatening, the tumors can cause complications if they are located near an airway or an eyelid. As Charlie’s is located on her right cheek, it is monitored to prevent it from obstructing her vision. Most hemangiomas eventually disappear, and Charlie also takes medication to prevent her tumor from getting bigger. Mom Katie had previously spoken out about the stigma surrounding the little girl’s facial mark, which is roughly two inches wide and two inches long, in a powerful essay on her blog Typical Katie. His betrayal left her heartbroken. I was left with the impression that she wasn’t being quite honest. Kate’s sudden departure left us all wondering what was going to happen. Some people develop complications after surgery. If any complications arise, let me know and I’ll help. Dave couldn’t find his passport at the airport and then there were further complications when Fiona lost her baggage. Seven people were arrested for allegedly obstructing a highway. The trees in their garden obstruct our view of the sea. He disliked the project but had not actively obstructed it. After the earthquake many roads were obstructed by collapsed buildings. Her view of the stage was obstructed by a pillar. And now Charlie can see her beauty reflected in her new go-to toy. 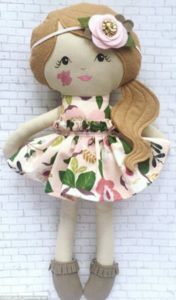 The special doll was made by Little Plain Jane, which is owned by mom-of-two Kayla Baker and specializes in custom-made dolls that retail for $50. Writing on her Etsy page, Kayla revealed that the brand was inspired by her three-year-old daughter Paige, who has autism. He felt that moving out of his parents’ home was a real milestone in his life. This film was a milestone in the history of cinema. We’ve been married now for 20 years, a real milestone. The hotel concierge is the go-to guy if you need something immediately. 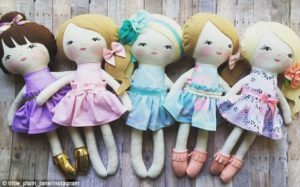 Taking to Instagram, she shed some light on why she felt inspired to create dolls that look like their owners: ‘I have a sweet 3 year old daughter with Autism, who is non-verbal, still in diapers, and doesn’t have a way to really functionally communicate yet,’ she shared. She added that she felt thankful she could make dolls to match the needs of individual children and thanked the parents for giving her the opportunity to do so. Experts hope the plane’s flight recorders will shed light on the cause of the crash. I had hoped that he would be able to shed some light on the problem. After her trip to Venezuela, she felt inspired to learn Spanish. She inspired her students to do the best they could. We use interactive displays to inspire children to read and write for pleasure. Body language is a potent form of non-verbal communication. The systems are visually and functionally similar. The office is functionally designed.